The FIGC (Italian Football Association) recently won the "UEFA Prize for Creativity & Innovation"
The FIGC (Italian Football Association) recently won the "UEFA Prize for Creativity & Innovation" with EIT Digital being among the partner organizations contributing to this success. The final ceremony of the prize was held earlier this month in Riga, Lativa. The award was given in the category Engagement to the "First Hackaton on Italian Football" organized last year by the FIGC in Trento. Besides EIT Digital, the main partners of that iniatitive were the Autonomous Province of Trento, the University of Trento and Trentino Sviluppo. The official motivation of the prize recognized FIGC and its Trento-based hackathon as "a great example of a national association thinking outside the box and driving innovation for the benefit of football". 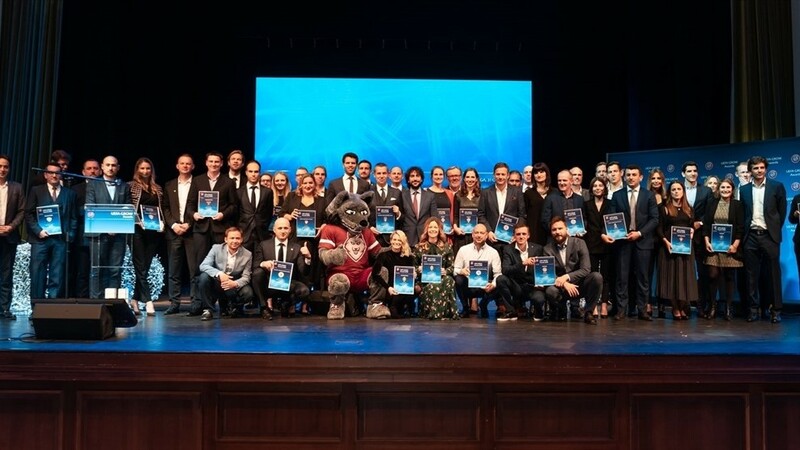 The prize is part of the initiative "UEFA GROW Award" and its aim is to reward and endorse the initiative and successes of the UEFA member national association, while also communicating best-practice models from around Europe. It was a vibrant competition: a record 106 applications were submitted to a jury of experts selected by 44 national football associations (out of the 55 national football associations, which are part of UEFA). "Cooperation between public authorities and sport industries, research institutions and universities is key for innovation. The Region of Trento, equally reaching wonderful locations for summer and winter sports as it is for research and innovation centres, is a good example of that cooperation. I am particularly glad that EIT Digital is involved in this initiative. EIT Digital involves 130 partners from all over Europe to accelerate the market-uptake of digital technologies, boost innovation capacities and foster an entrepreneurial mindset in Europe. Its activities perfectly match the spirit and the goals of this Hackathon. Finally, we should use innovation also as a tool to engage as many people as possible in sports, because I am absolutely convinced that sport is about inclusion as much as about anything else."